Professional Voice Over Talent and Voice Over Actor. 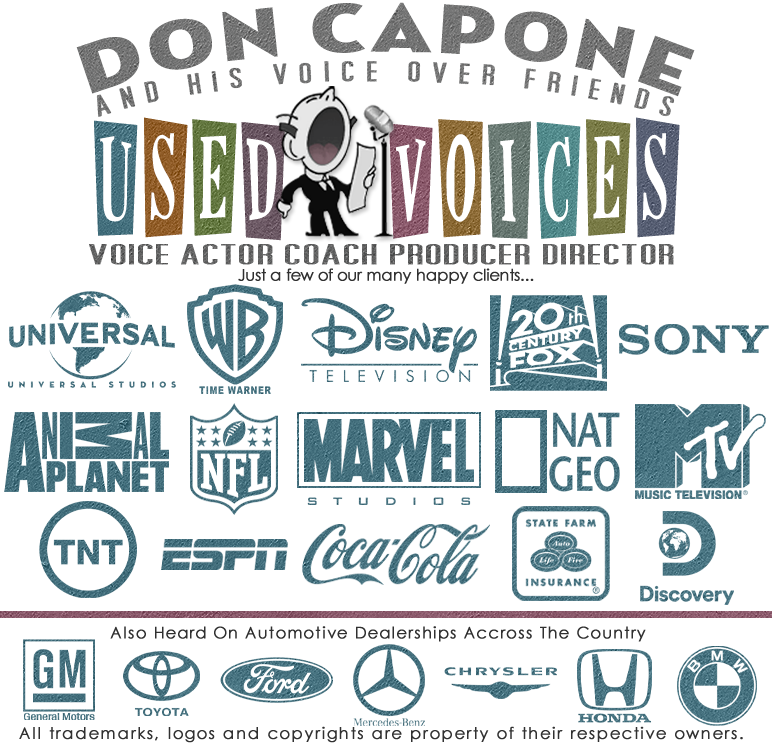 Voice Overs for Film, Radio and Television commercials. Voice Description: Deep, Smooth, Warm (with a little rasp to it). I can do native southern accents as well as urban voices, African American Voice Overs and foreign accents (predominantly U.K.) If it's Promos or Radio Imaging, I can give it that special something that gives it "mojo" and "soul". When it comes to Corporate Presentations, PSA'S or Movie Trailers, I can be both informative and authoritative. If it's commercials, I can sound like your wise uncle, concerned parent, caring husband, annoying friend, or just your straight talking announcer. Experience: 5 years of voiceover experience,1 year of college radio (KACC)89.7, San Francisco School of Acting. Production Services: Dry Read, Fully produced with music/effects,whatever the client needs. Studio Equipment: Sennheiser MKH-416 Mic, Avalon 737 pre amp, M-Audio Interface, Adobe Audition , Phone Patch, Source Connect.